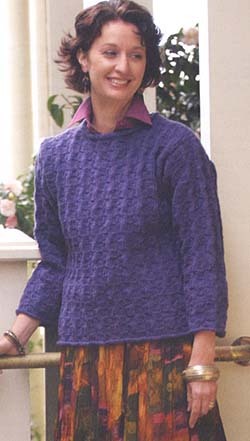 This pullover is knit with Jamieson's Heather Aran 100% wool yarn and is from Simply Shetland. The design is by Beatrice Smith and is classified as a "Beginner" skill level. Kits for 4 sizes are shown below.